Lovett Family Farms produce potatoes for McCain’s Food processing plant in Timaru, situated 80km away from our growing region. Lovett Family Farms has been growing potatoes for 25 years, starting out growing Export and supplying local fish and chip shops, then moving to McCain’s in 2000. We grow three main varieties: Shepody, Innovator, and Russet Burbank. Preparations start for potatoes years out with different crop rotations leading up to the growing season. The land is planted in a green manure crop in the autumn, either being oats, mustard or radish. As the ground warms up in the summer, we start to get our ground ready by fertilizing, ripping and destoning. Planting starts in the middle of September and goes to the end of October. 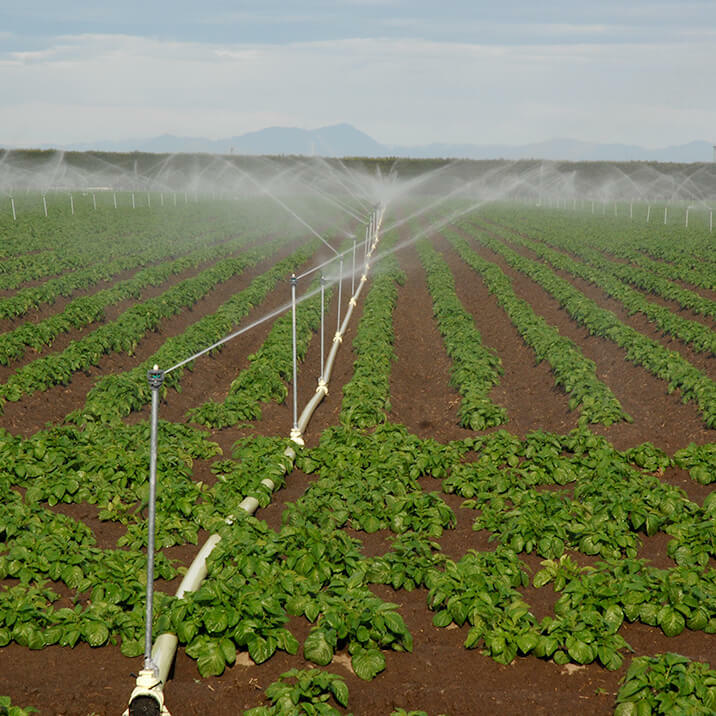 Over the growing season our fields are regularly monitored for crop development, moisture, pest and disease. The harvest starts in February, supplying the factory with green top crop. Then moving into storing potatoes late March. Lovett Family Farms has a 50% share in a storage facility with another local grower with capacity of storing 20,000T. McCain’s also have a storage facility where a percentage of our crop goes. Harvest should be finished before the ground temperature gets too cold Mid May. Lovett Family Farms takes great pride in supplying a top quality sample to McCain’s Foods with a minimal damage, foreign material and low bruising.